Video games are one of the most popular pastimes and entertainment go-to of children and adults alike. A specific type of video game, called a ‘fighting game’ is a game wherein the players can use one of their favorite characters and fight computer operated opponents or challenge other players in a duel. Another type of video game which is very popular nowadays is the online role playing game or RPG. This game features one or more players in a game room and together, they form an alliance to make it to the end of the game. 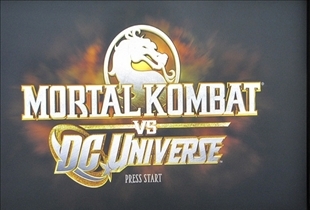 Two game favorites have evolved today and these are Mortal Kombat and the DC Universe. Find out which game has better graphics, stories and moves as you read along. Mortal Kombat, or called MK for short, is a type of fighting game which was originally based through Jean Claude Van Damme, a popular actor and martial artist. But the idea did not push through and the developers came with the Mortal Kombat name. Due to its popularity, it has been followed up by a lot of game sequels and has even been in television series and in the movies. The game also has a soundtrack available in the market. DC Universe Online on the other hand is a massively multi-player online role playing game (MMORPG) which is due for release this late 2010. The first abstract for the video game was released on July 2008. The trailer was first seen on the same month and year as well as the screenshots for the game. They also have an online question and answer where the players could ask everything they need to know about the game. The upcoming RPG game is now available for order. Mortal Kombat is created for public entertainment by John Tobias and Ed Boon. Acclaim Entertainment has sponsored all first four games which were offered for home console games. After which, Midway Games took over to make home versions of the game. In July of 2009, the franchise was sold to the Warner Bros. Company which then became one of Warner Bro.’s branches of interactive entertainment. 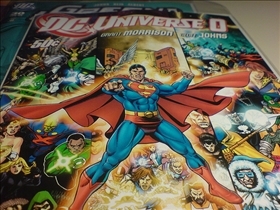 Sony Online Entertainment is the one responsible developing DC Universe along with former Marvel Comics artist Jim Lee. Mortal Kombat is played by challenging an opponent one on one until the last character stands. It has some finishing moves and special powers, and you can finish off your opponent by doing the “Fatality” move. DC Universe on the other hand is an RPG game where numerous players meet up in a single online room and battle enemies until the end of the stage. Mortal Kombat is a one on one fighting game which has special moves and finishing moves. DC Universe is a massive multi-player online role playing game which is played in an online room. Mortal Kombat is better at the moment because DC Universe hasn't been released yet. We cannot rely on screenshots and descriptions of the game until it is played. Which series has better storylines?